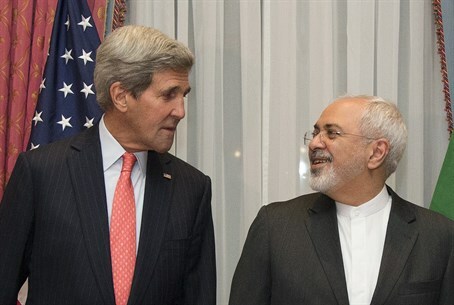 A senior Iranian cleric claims that US Secretary of State John Kerry told Iranian Foreign Minister Javad Zarif that he "wished the US had a leader like Iran's supreme leader" Ayatollah Ali Khamenei, in comments made during the negotiations over Iran's nuclear program. The cleric, Ayatollah Alam al-Hoda who is a senior member of the powerful Assembly of Experts, made the remark during Muslim prayer services last Friday, reports the Farsi-language state-run Asriran news site. A senior US administration official responded to the statement, telling the Washington Free Beacon that the claim is "patently absurd." Al-Hoda didn't stop there however, going on to claim that "both Republicans and Democrats want these negotiations with Iran, but they fight each other for partisan interests. (US President Barack) Obama wants the negotiation to succeed so his party can win the next election and Republicans want to stop him." Turning his attention to how Iran has been seeking regional hegemony via terror proxies, most recently the Shi'ite Houthi militia in Yemen, he added, "today, the resistance crescent has gone beyond Syria and Lebanon and reached to Yemen. Today the resistance front is in control of Strait of Hormuz and Bab el-Mandeb." His mention of the Bab el-Mandeb strait refers to a waterway of the highest strategic value off the coast of southern Yemen where the Houthis are fighting for control. It would allow control of the key commercial water route into the Red Sea, and ultimately to Israel's southern port of Eilat. The "US and Israel have not been so weak anytime before. All these events are being managed by the hidden Imam," he said, making mention of a messianic religious figure in Shia Islam. As illustrated by the cleric's comments, Iranian dissident Saeed Ghasseminejad of the Foundation for Defense of Democracies (FDD) told the Washington Free Beacon that the conduct of the Obama administration is garnering Iran's scorn. "President Obama thinks that by making more concessions he can gain the trust and respect of Iranian leaders," Ghasseminejad said. "However, Iranian leaders neither trust him nor respect him." "Seeing unprecedented weakness in the US president, Iranian leaders do not fear the United States anymore. Partnership, trust, and alliance between the radical Islamist regime of Tehran and United States cannot and should not exist," he concluded.